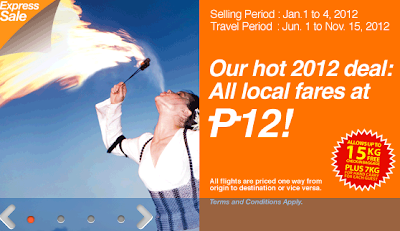 AirPhil Express also gives its frequent flyers a Php 12 marked down price for all domestic destinations, with travel period that starts from June 1 and stretches to November 15, 2012. This express sale entitled as the “Hot 2012 Deal” is a great deal to start the year. Check out details below for more information.